And the industry has seen some notable successes. Jason Taylor’s energetic advocacy has lit up many a convention stage since he started as president of the Chattanooga Time Free Press in 2007. And Brent Low, CEO of Utah Media Group in Salt Lake City, has made events a cornerstone of his diversified revenue model since he was publisher in St. George, Utah, more than a decade ago. These guys probably do it right. But personally, I’ve been skeptical. This dates back to my own attempts to diversify revenue at a small-market newspaper in the ’90s. I hired an experienced events director, and we went at it full-force for a couple of years, producing many popular and well-received events. On the surface, it looked like a success. But over time I found that we were wearing out the energy and good will of our people, tapped repeatedly to do events work beyond their regular jobs. Reckoning the hours they spent and the drain on our normal operations, I realized we weren’t actually making money. So I pulled the plug on events, and a lot of our key employees heaved a collective sigh of relief. My conclusion — unchanged since — was that events could be a good business, but only if it were built as a business — a separate P&L, employees and marketing budget, with best practices in programming, sponsorship sales and costs. That’s not how most media companies have done it. Since our days of high profits and market dominance, most have viewed events as community givebacks and signature branding opportunities more than as a business. And few have been careful about segregating costs to reveal true profitability. Now it’s 2016, and the need to diversify local media companies is immense. Strategically, events make sense as a related business, and I think it’s time to learn to do them right. So this summer I went to the Web looking for an events conference to attend on behalf of Morris Publishing Group, our local media division. In our 11 markets, we own and produce quite a few events, and we sponsor many others that we don’t own. I wanted to immerse myself in the best practices of people who do community events for a living. I picked the International Festival and Events Association’s annual conference, held in Tucson three weeks ago. Its focus is community events — not corporate, sports, music, education or other kinds of events, all of which have their own associations and conferences. It was a great learning experience for MPG President Derek May and me. I came away with 23 pages of notes and new perspectives on opportunities in the events space. It’s a highly specialized business. Few local events will ever achieve their full potential without learning best practices at a conference like this. We can make our own events across MPG more successful and more profitable by attending and learning from IFEA events. Digital marketing savvy in the events business is still primitive. Most organizations lag far behind current best practices in digital and social marketing. Regarding sponsorship revenue, it was clear that we have much to learn about maximizing sponsor revenue and sponsor results. For our own events, this presentation offered a lot of best practices that could improve our reach, impact and profitability. It seemed clear that our digital know-how could enable us to sell digital event-marketing services to events organizations in our communities. Our CitySpin brand, currently selling a ticketing platform to local events, could become a digital marketing agency providing a range of digital services to events organizations. 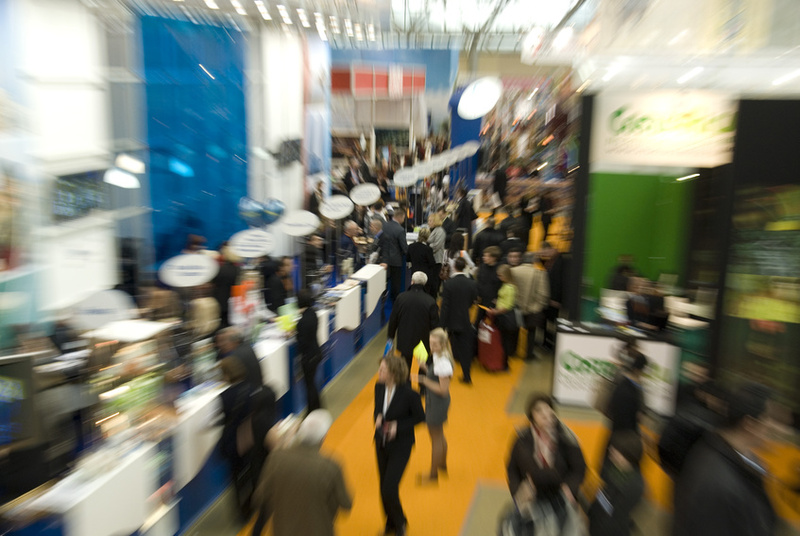 The events industry is becoming more sophisticated about sponsorship pricing and fulfillment. Events offer a payback for sponsors that conventional advertising can’t – the opportunity for 1-on-1 engagements with consumers. One speaker showed a formula for calculating sponsorship fees, based on tangible and intangible benefits in the package. This often leads to significantly higher fees — and a clear ROI that can be laid out for the sponsor in advance. We need to get more training on pricing, selling and fulfilling sponsorships for the events people on the local staffs in our markets. Applying specialized digital marketing tactics to our own events to increase yield. Selling these services on a fee basis to other organizations for their events. Calculating — and improving — sponsorship ROI’s on our own events to support higher fees. Maybe — just maybe — selling sponsorships on a fee basis for events we don’t own. We have more to learn at MPG before we can execute, but 1, 2 and 3 look easily doable. Number 4 is more of a long-range possibility. Okay, but what about launching a lot more events ourselves? I’m much less excited about that. Producing events is a high-effort, high-cost, high-risk business, and it’s easy to lose money. But if we can find a few formula-based events to reproduce in our markets, using the marketing and sponsorship know-how we expect to acquire, that could be interesting. I came away with another key takeaway that wasn’t about business, but rather about the emotional — almost spiritual — importance of events. It came from keynote speaker Peter Kageyama, author of For the Love of Cities and Love Where You Live. He gave a soul-stirring kickoff address on the power of events to increase people’s pride and their sense of fun about the places where they live. He showed creative and exciting examples from dozens of cities to prove the point. You could feel energy, enthusiasm and pride swelling among the crowd of events people in the room. For me, this reinforced the reasons why local media companies should be involved in local events. We have a tremendous amount invested in our cities. As a local business, we are critically dependent on the sense of health, enjoyment and fun that people feel about living in our cities. It’s a twofer. By helping our own and others’ local events to be more successful, we can strengthen our own businesses, and we can make our cities better places to live. Posted on November 1, 2016, in Audience, Consumer revenue, Digital media sales, Disruption, innovation, management, Media business model, media management, media ownership, Revenue, Sales. Bookmark the permalink. 5 Comments. Excellent post Steve. I have heard from several properties that a full cost accounting of many events painted a very different picture than the gross revenues you hear about from the platform. I totally agree with your takeaway that there are surely some that will make sense locally, especially if you can leverage your learning and processes across multiple markets. Thanks for a substantive and thoughtful analysis of the opportunity.